Edinburgh Cleaning Services offer fabric protection and stain removal. Our specialists have more than a decade of experience in delivering top-class results. So they know exactly how to clean your materials without taking any of the vibrancy out of the fabrics. Invest in your furniture and protect it with care from our experts. We fully understand the importance of your purchases. 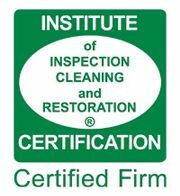 Which is why we carry out a pre-cleaning assessment to establish the best method of cleaning. Keeping your furniture well maintained is an excellent way of prolonging its life. Continuing to keep the quality shining through. We can apply dust-mite, anti-allergen and anti-static treatments for your upholstery. Which prevents allergies from developing and providing a general improvement in your comfort. If you would like to discuss our fabric and upholstery cleaning services call us today on 0131 660 0220. We offer free no obligation quotes on all the work we carry out. So pick up the phone now and find out just how cheap our cleaning services are!